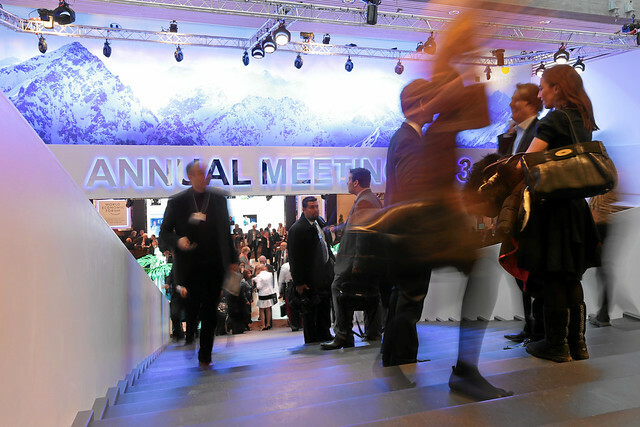 This year’s edition of the World Economic Forum (WEF) is up and running at the Swiss mountain resort Davos. It’s the place to be, if you have anything to do with finance and business today. Everyone has descended on Davos, from high level media people to the top notch of the business elite. And there’s no shortage of topics on the agenda this year – the lack of global growth, the euro crisis, of course, and what’s happening in the Middle East. Nothing new here. But surprisingly there IS something new and unexpected on the delegates’ plates, and it’s called climate change. It’s about time, isn’t it? As if to make a point, a collection of reports that call for prompt and substantial action on climate change, development and sustainability is quite impressive, writes the executive director of the Stockholm Environment Institute, Johann L. Kuylenstierna at RTCC, the official observer to the United Nations climate change negotiations. There certainly have been a lot of eye-opening climate events over the last year that have grabbed the headlines and left plenty of people baffled. Like the highly debated “pause” in the rise of global temperatures, the inconceivable return of Arctic sea ice or temperatures in Australia that were so high that the Bureau of Meteorologists had to add an extra color to its heat scale. Two days ago, UN Secretary General Ban Ki-moon called climate change a top priority issue alongside with Syria. That may help the 2,500 people in Davos focus on the climate. There are quite a few papers and reports that take a look at climate change and it’s implications. The Green Growth Action Alliance led by former Mexican President Felipe Calderón quotes figures that are a stiff wake-up call: some $14 trillion will be needed, say researchers, to be spent on low-carbon industry and infrastructure until 2030. That translates to an investment of $700 billion a year! Calderón’s message is clear: there is no time to waste. And there’s more: The Global Risks Report 2013 says that stresses on economic and environmental systems are on a “collision course” that could pose “unprecedented challenges” to global and national resilience. Others build cases for addressing climate issues in supply chains and as a strategic response to consumer demands. None of this is exactly new. But the sheer number of notes or speeches lately could give the climate some momentum in Davos and beyond. Even the fact that US president Barack Obama declared it necessary for the United States to respond to climate change may have been an important sign in itself.